Use TB2ZCDC to reference this item. 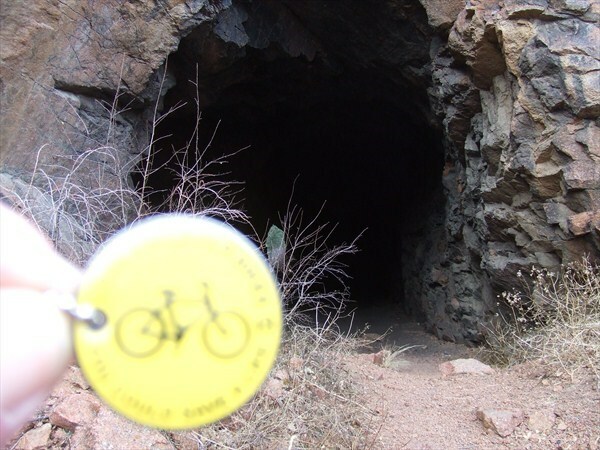 This cache is in a very old, abandoned railroad tunnel along Hwy 24, that goes NW from Colorado Springs to Woodland Park, Colorado. 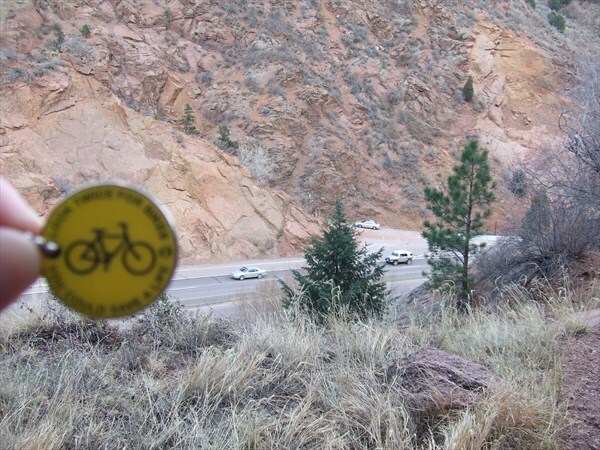 Bicyclists sometimes ride along Hwy 24, but not too often. Photos attached -- the old railroad trace is now a trail, so there are probably mountain bikers that go along here, but certainly no cars ! Photo 1857 is looking down onto Hwy 24 from the cache location, just outside the south entrance to the tunnel. Sorry the coin is hard to see in photo 1860; I tried and tried, but couldn't get a clear photo of both the coin and the tunnel. Gotta love bicycling ! 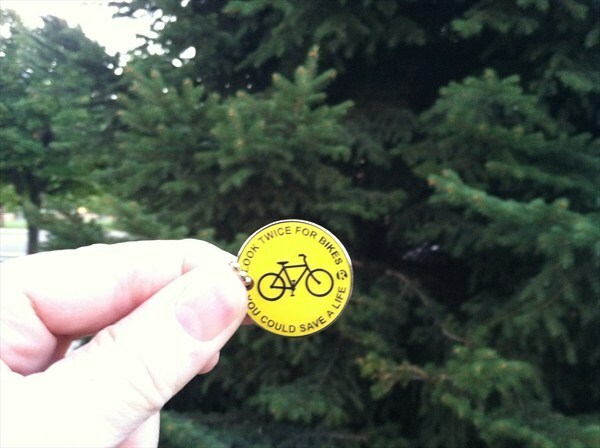 A GREAT geocoin, and the Kidz LOVE their bikes -- they are ages 9, and 6 year old twins. Will move this coin along soon. LOVE it !!! Saw it at the LoDo TB Hotel! I discovered your TB in Cosmo's TB "Exchange" on the Brigham Young University Campus in Provo, UT. Before I dropped it back in the cache I took a picture of it outside the tree that hides Cosmo's TB "Exchange" cache.